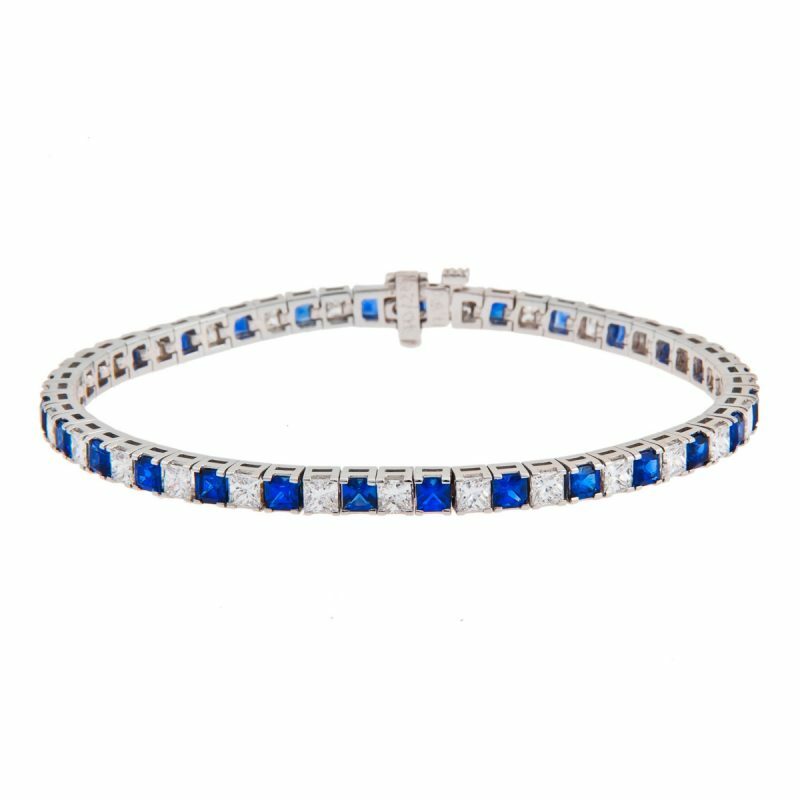 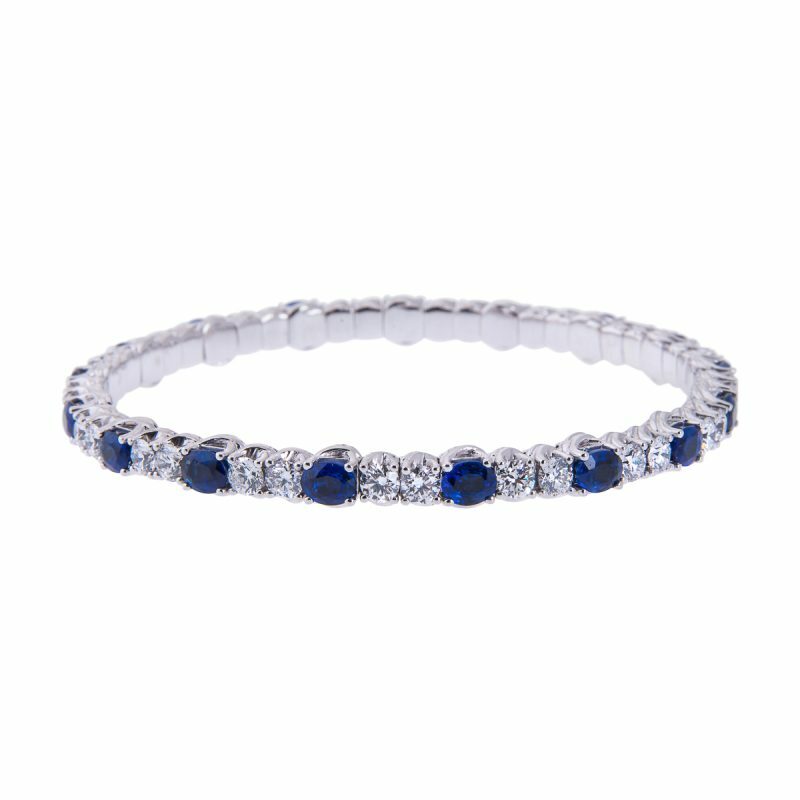 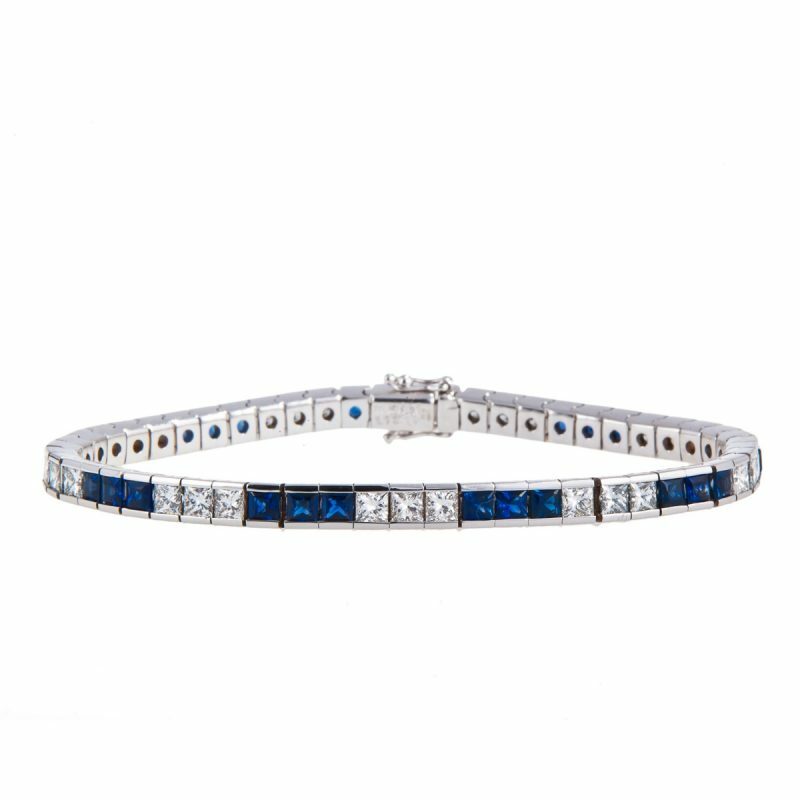 Brilliant cut diamond line bracelet set with round cut sapphires, all mounted in a claw setting. 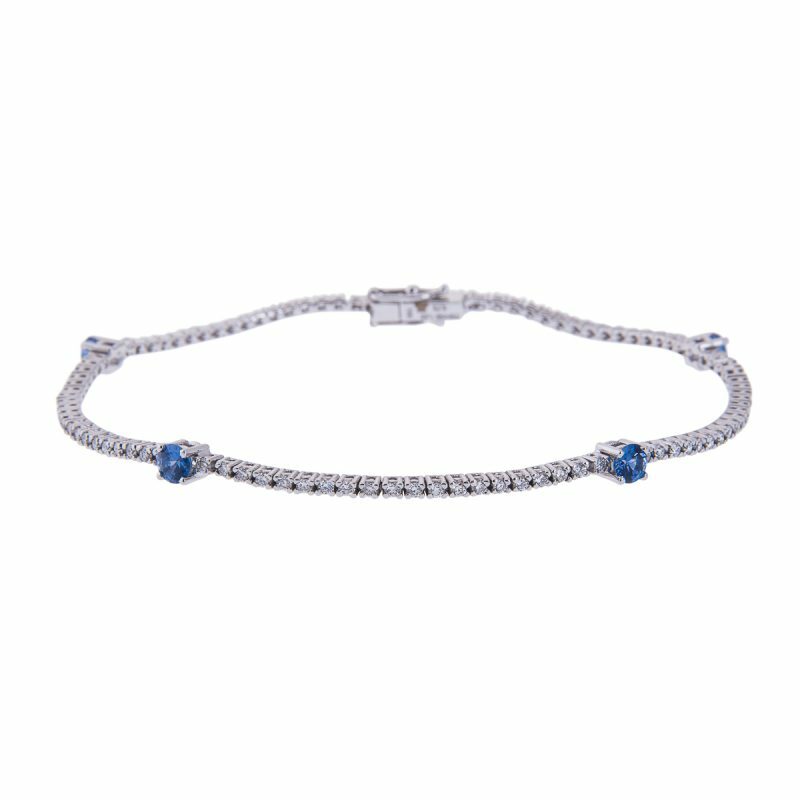 Go your own way with this bracelet with a difference that will set you apart. 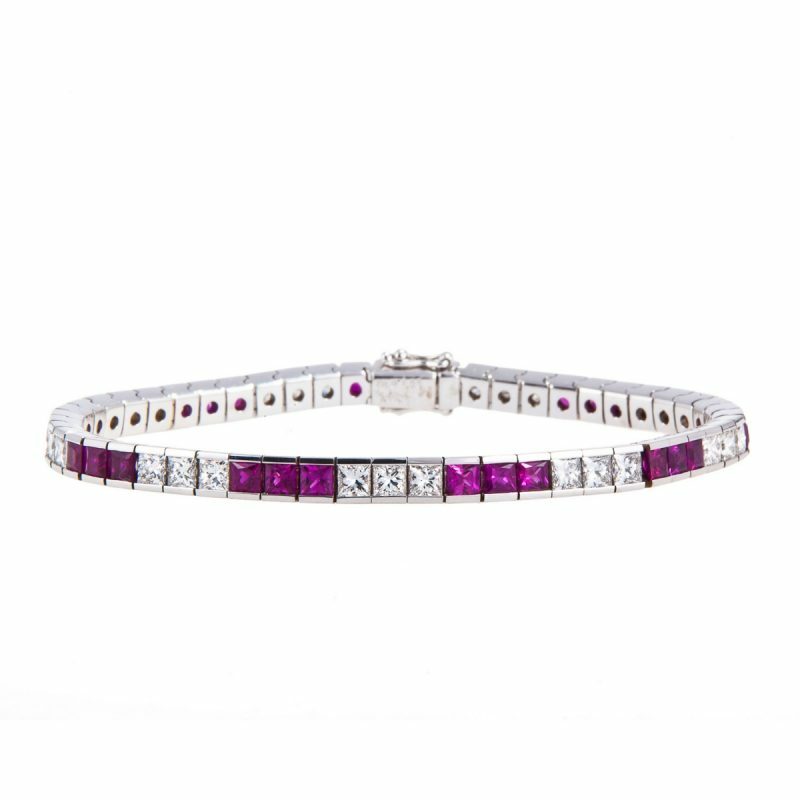 A narrow line of brilliant cut diamonds set in 18ct white gold, enhanced with 4 sapphires provide an element of fun to make you smile.